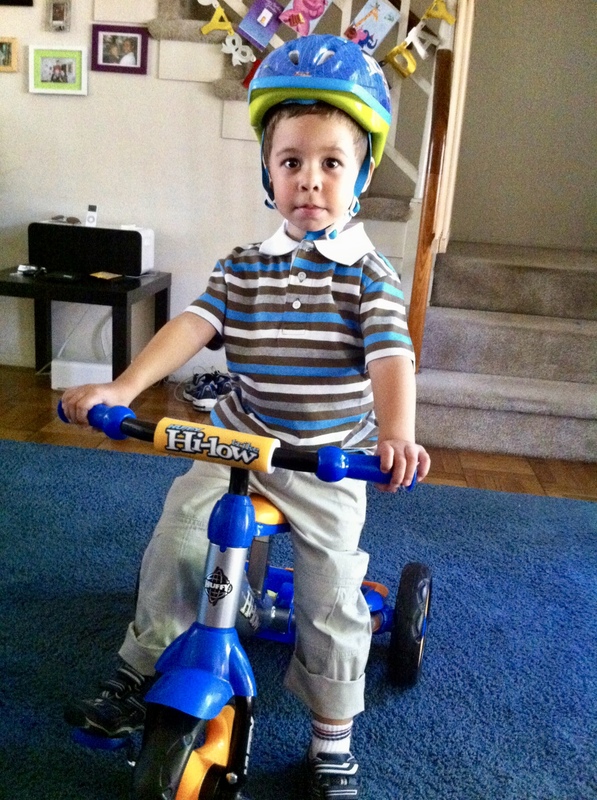 For Ryan’s 3rd birthday, we gave him this tricycle! In a little more than a week, my son is turning 10. That sentence, in and of itself, is enough to stop me from writing more. But I can’t stop writing, because I can’t stop thinking that my son is forever leaving the age of single digits. 10 is momentous, and my husband and I have been struggling with trying to come up with the “perfect” gift for our son. I’m not yet telling you what we’ve decided on, but you can click here to read my personal essay “Entering the Age of Double Digits” that explains our predicament.